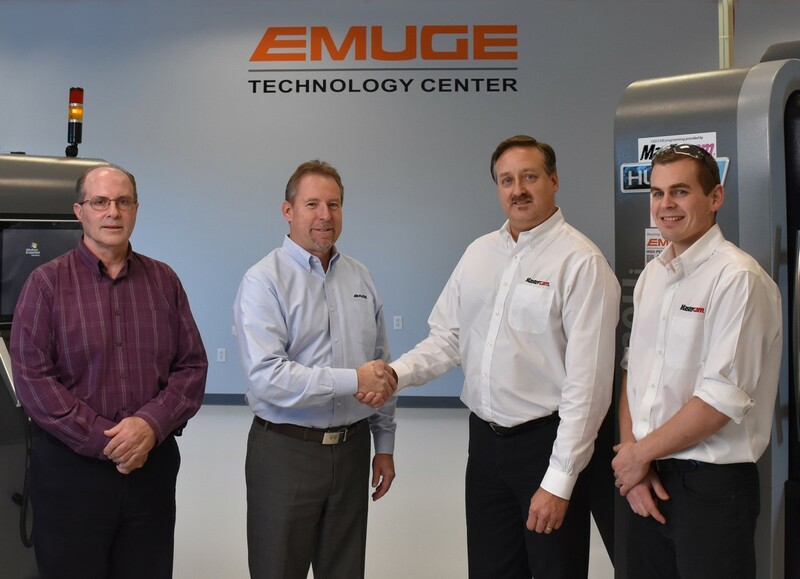 WEST BOYLSTON, MA U.S.A. (November 28, 2016) – Emuge Corp, a leading manufacturer of high performance taps, drills, end mills and other rotary tools, announced it has established a partnership with CNC Software, Inc., developers of the manufacturing industry’s well known Mastercam® CAD/CAM software. For more information on the Emuge – Mastercam partnership, contact Emuge at 1800 Century Drive, West Boylston, MA 01583-2121, Tel. 800-323-3013, internet: www.emuge.com, or Mastercam at 671 Old Post road, Tolland, CT 06084, internet: www.mastercam.com. Developed by CNC Software, Inc., Mastercam is the world’s most widely used CNC programming software package in the world, with more than 224,000 installations in 75 countries. CNC Software provides software solutions to customers in the aerospace, automotive, die/mold, medical, energy, consumer products, and production machining industries. CNC Software is a privately-owned corporation with over 30 years’ experience providing software for milling, turning, wire EDM, Design, surface and solid modeling, and Swiss machining. For more information, please visit www.mastercam.com.